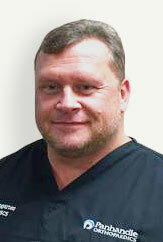 Lester has over 20 years of experience working in orthopedics and sports medicine. He is a 1994 and 1999 graduate of the University of Southern Mississippi with a Bachelor of Science in Athletic Training and MS in Sports Administration, respectively. Lester is also a 1997 graduate of the University of Wisconsin-La Crosse with a BS in Physical Therapy. Lester is a Licensed Physical Therapist, Certified Athletic Trainer and a Certified Strength and Conditioning Specialist and has extensive experience working at the Division I and II levels along with professional football and the US Military. He also has special training in Instrument Assisted Soft Tissue Mobilization and Kinesiological Taping and holds certifications in the Functional Movement Screen levels I and II, the Selective Functional Movement Assessment and the Primal Reflex Release Technique levels I and II. Lester is one of the best for physical therapy! He doesn't just show you an exercise sheet and say 'now do these in front of me' and then send you on your way. He actually treated my Achilles with therapy I could not do at home. This is rare!!!! After the first 2 visits he gave me some exercises that can be done at home, but continued treatment in the office for the things I could not do. This has been so helpful. I've seen many PT’s and I will not go past the first visit if a PT merely shows me exercises and tells me to come back 3 times a week just to monitor how I am doing the them. To me it means, don't waste my time. Lester is the BEST! Thank you for your help Lester.